Superdry men's Ticket Type pastel t-shirt. Update your wardrobe with the Ticket Type pastel t-shirt. This t-shirt is crafted from soft cotton and comes in on-trend pastel colourways. 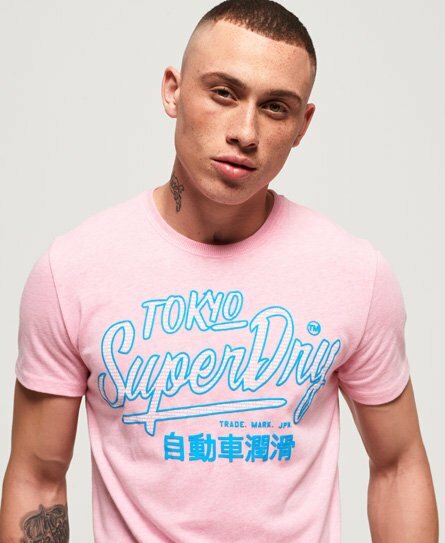 Featuring a crew neck, an eye catching Superdry logo across the chest and a smaller logo below the back neckline. This year-round staple tee is completed with a Superdry logo patch above the hem and looks great paired with jeans and joggers alike.